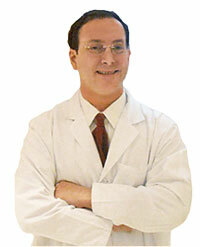 Noah Scheinfeld, MD, FAAD would like to be your partner in health care. Feel free to ask your questions and share your concerns with us. We will work with you to develop a wellness program for the care and treatment you need. Acne is a common condition that causes blocked pores, pimples, cysts and other lesions on the skin of the face, neck, chest, back, shoulders and upper arms. There are several effective treatment methods available to help improve the appearance of the skin and prevent future acne breakouts. Acne is a common condition that causes blocked pores, pimples, cysts and other lesions on the skin. While it is most common in teenagers, acne can affect people of all ages, most often appearing on the face, neck, chest, back, shoulders and upper arms. Laser hair removal is a cosmetic procedure that uses pulsed laser energy to remove unwanted hair from a targeted area, while leaving surrounding skin unharmed. Common areas on which laser hair removal is performed are the chin, upper lip, chest, underarms, back, bikini line and legs. Rashes are changes in the skin's color or texture. Simple rashes are called dermatitis, which means the skin is inflamed or swollen. Some rashes are independent symptoms, but many cause itching, burning or other discomfort. There are a great many reasons for individuals to develop rashes.